To see out TAD days for 2018 - 2019 please click Here. To read our stories please click here. To read about the event and see the photos please click here. To read all about it and see all the pictures please click here. To see all the photos from the summer fair please click here. To read all about our SPA leavers please click here. Read our headteachers message by clicking here. To listen to our school song, click here. To read our school prospectus please click here. To see our whole school results in 2017 please click here. To see some of our work for the Polar Explorer please click here. To read some of our kindess notes please click here. To read all about Football Fridays 2018 please click here. To read all about our creative wiritng project please click here. To read up about science week 2018 please click here. To see some of the changes we made around the school please click here. KS1 and KS2 sports day. To read about last years sports day, please click here. We temed up with Puregym to finish sporty! To view the photos click here. To watch some of year 6's animation videos click here! For all the information please click here. To see what we did with our creative curriculum week please click here. To read all about the junior game creators please click here. To view all out kindness comics please click here. Rocksteady: Turning up the volume! To read all about the Y2 sats please click here. To read all the information please click here. MHPS and Puregym team up for the sponsored walk. To read letters written by year 3 to the headteacher and his response, please click here. To view all the photos please click here. To see what we did for Sport Relief 2018 click here. To see some photos from the trip please click here. To see the photos from world book day 2018 please click here. For all the information about Oscars Optional Homework click here. To read about our creative writing please click here. Muswell Hill Primary and Jam Arts. To read more about Jam arts please click here. To read about our music evening please click here. To read up on all of our visitors and how they inspirered us click here. To view all the information please click here. To view the Spring term dates click here. Chinese new year 2018 at Muswell Hill Primary! To view all the pictures please click here! Every year at christmas we like to thank certain members of staff for a fantastic job they do all year round! This year we thanked the office staff! Watch the video by clicking here! Read all about the Autumn 2017 Early Maths Workshop by clicking HERE! Headteacher and Chair of Governors Christmas Challenge! Read all about the challenge HERE! Read all about our choir going to the Wigmore Hall HERE! Check out the great work the Time table rockstars did by clicking HERE! To read all about MHPS being a minful school click here. To Lisyen to music produced by Elena and year 3 click here! To see what we did for black history month click here. Isle of Wright Year 6 Trip 2017! For last years Sats results CLICK HERE! If you would like to check the dates for LAST YEAR you can check HERE! For all the information click HERE! Year 6 Just want to have fun! For all the photos click HERE! James and Riaan recently ran for the charity SLOW. Click HERE for all the details. For all the information on Football Friday click HERE! For all the E-Safety information click HERE! For all the news on maths week click HERE! Muswell Hill Primary recently had it's summer fair. Read all about it HERE! Our School recently had an anxiety workshop. To see the presentation, CLICK HERE! Muswell Hill Primary recently had a fundraising event. See photos from the event by CLICKING HERE! We got the oppertunity to represent Tottenham in a football tournament! Read about it HERE! The children of Muswell HIll Primary school submitted work for the Encyclopedia of Teamwork. To read it CLICK HERE! Muswell Hill Primary School recently had a science week. To see the photos CLICK HERE! The Muswell Hill Primary school debate teams topic was Graffiti! To see pictures of the debate CLICK HERE! Our Headteahcer James recently went to China with some other head teachers from other schools. To read about it CLICK HERE! Muswell Hill Primary raised over £600 for Unicef! Read all about it HERE. Year 2 SATS Information session. For all the information on the Year 2 SATS information session, click HERE. For all the information in the Early Writing workshop Click HERE. For all the information on the Year 2 writing workshop Click HERE. For all the information on the SATS Preparation workshop Click HERE. For all the information on the Year 1 Mathematics Workshop Click HERE. For all the information on the Mathematics Workshop for Year 2 Click HERE. For all the information for the Year 3 and 4 Mathematics workshop Click HERE. For all the Information on the Year 6 Mathematics workshop Click HERE. We had a Jumble Sale on the 22nd of April. Read about it HERE! We had a Quiz Night back in March. See the details HERE! We had Lollipop club back in March. See the details HERE! Google Visited Muswell Hill Primary school for an expedition! See the photos HERE! We had a Road Safety presentation! Read about it HERE! Muswell Hill Primary dressed up for World book day! See the photos HERE! Click Here to read up on this. Please click Here to view online presentation. To see the castles that Year 6 made, click HERE! To take the survey, click HERE! To see a preview of the Cook Book click HERE! Click Here to read online report. Please Click Here to view pictures. Please Click Here to read online. Please click Here for online presentation. Please Click Here to view the pictures. Here are Muswell Hill Primary we recently had our Summer Fair. You can read a short write up about it HERE! 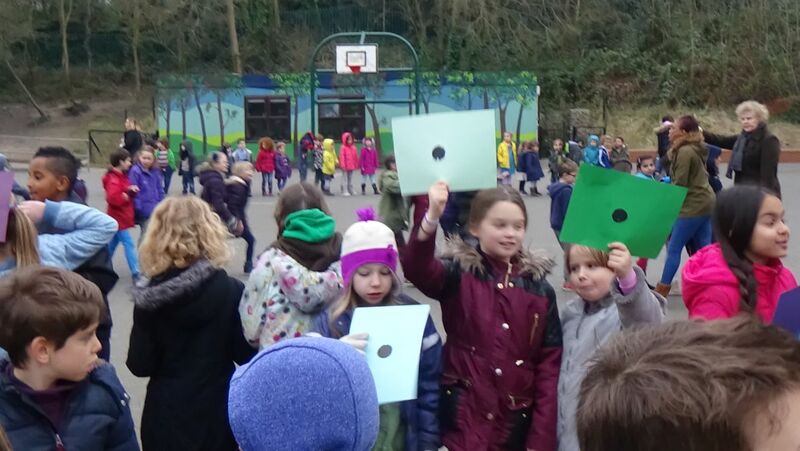 Muswell Hill Primary recently raised money for Sport Relief. See our total HERE! Click HERE for details about the new playground features! Click HERE to read about what we did for Sports Relief! Click HERE to see some of the activities the children of Muswell Hill primary took part in during DT week. Please click Here to read about our walk to school week project. 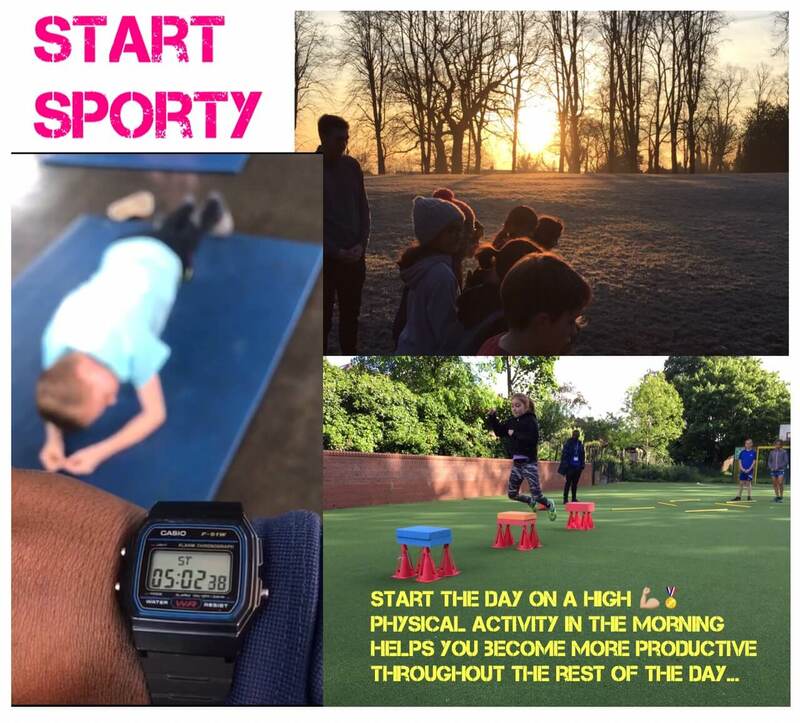 Click Here for report about Sport Relief activities in MHPS. Click Here to view the pictures of trip by our Chinese & Mandarin Club . Please click Here to view the pictures of our photography challenge. Please click Here to view the details about headteacher and chair's optional challenge. Please click Here to view the pictures of our live debating event. Please click Here to see the information about our Design & Technology week. To read our reception curriculum, please click Here. Click Here to read a report about our school trip to Houses of Parliament. Please use the following link to view SPA video. Please click Here to see the amazing work from our children. Please click Here to view the presentation about World-War II. Please click Here to see the Headteacher's and Chair's optional homework challenge. School has recently conducted a survey about abm catering. Thank you for taking part. Click Here to see the great responses from our children. Please click here to see the Headteacher and Chair's optional homework challenge. Pupil from Muswell Hill has published work in Beano magazine. 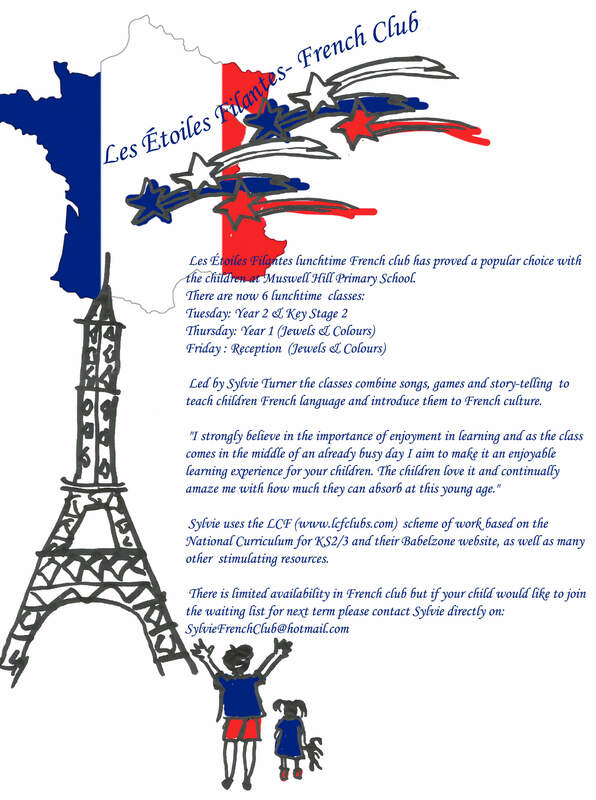 Children in Muswell Hill Primary School celebrating French Cuisine. Muswell Hill Primary School SPA organised a winter fair . We had a wonderful Fireworks evening in MHPS which was enjoyed by everyone attended. Please click here to see online the latest feasibility report about Muswell Hill Primary School expansion project. Please click Here to see the information about our movie club. To read about this topic please click Here. Muswell Hill Primary School has raised £400 for Frozen Ark Foundation. We have a new song written by one of our parents for Muswell Hill Primary School. Please click Here to listen the song. Thank you all for visiting our Art exhibition. School Survey closed for 2015. Thank you for your time and responses. Click Here to view online the Haringey response to consultation. Click Here to read more about the formal consultation response regarding Muswell Hill Primary School. Please Click HERE to read about E-Safety and see the presentation about "online risk & safety"
Click Here to view the pictures of our sponsored walk. Click Here to see the Ghana's Gallery.